There is no evidence of garden in these eras; however, originof the Japanese garden can be seen in remains of stonearrangements and earth works. 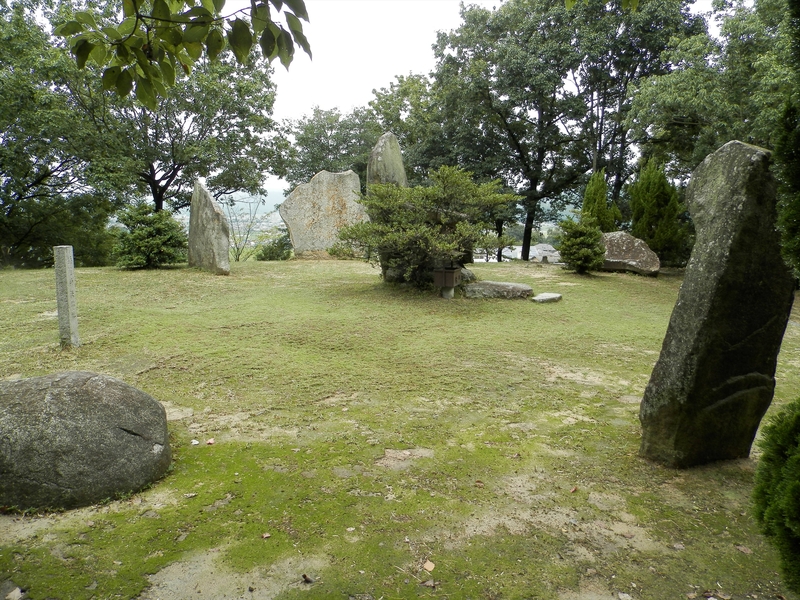 In the ancient time, Japanese people believed in animism and felt spirituality in stones and rocks. 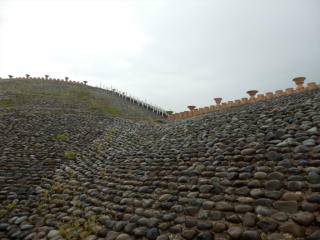 In Jomon culture, stone circles appeared and used as places for praying and festival.Large natural rocks were considered a stage where an animismspirit visited, and later people started to assemble rocks to makean artificial stage for a spirit; this kind of stone works and naturalstones are called Iwakura and to set stones boundary aroundholly place is called Iwasaka. In Kofun period (Tomb period), Yamato imperial family(which continues to Japanese emperor today) increased power inJapan and created huge tombs called Zenpokoen-fun (fore-square-back-circle tomb in direct translation, looks like key holeof old days to me). These tombs were not only burial places for emperors andnobles but also displays of power for other clans in Japan. Thistype tombs spread to most of Japan and even to part of Korea;the techniques of tomb making later used to create earth andstone works for gardens. 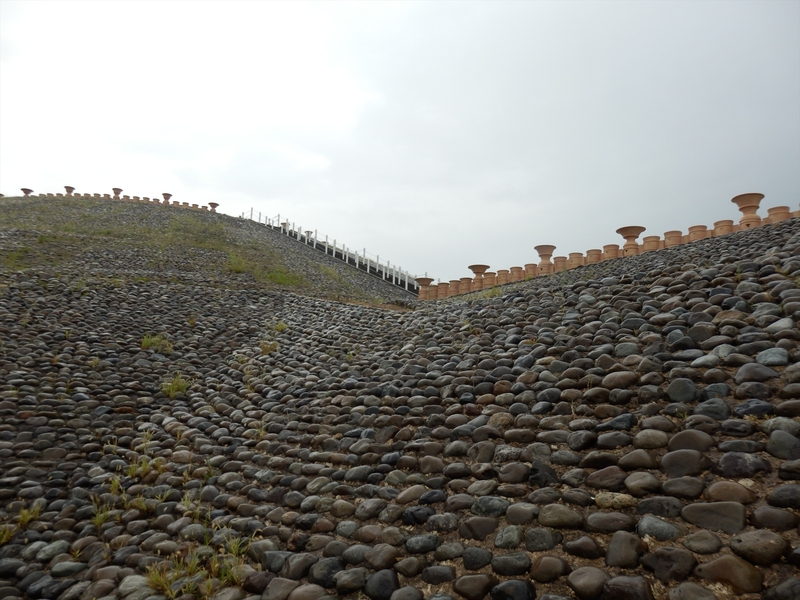 Normally, Zenppokoen-fun is abandoned and becomes like anatural forest, yet Goshikizuka-tomb, the biggest Zenppokoen-funin Hyogo-ken, was restored to its original shape recently. It isgood example to learn Zenpokoen-fun of the time.